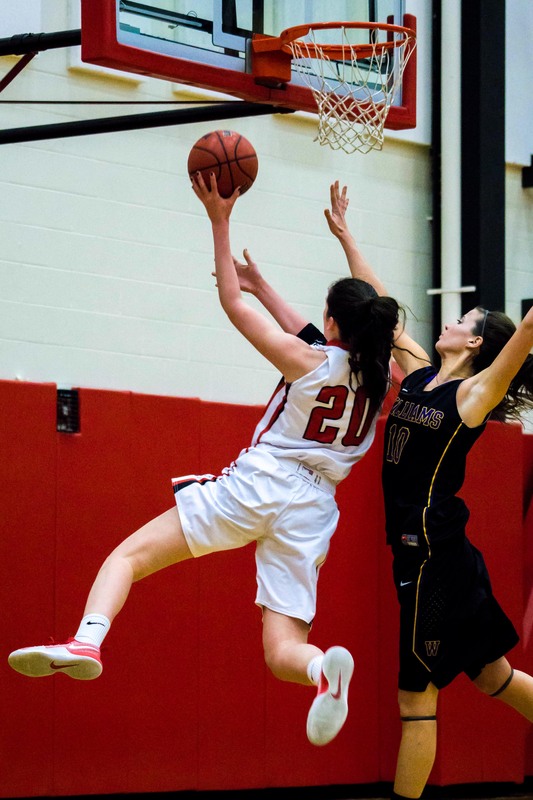 The women’s basketball team played its last few games of the season this past weekend, ultimately falling to NESCAC competitor Colby on Saturday, Feb. 11, a defeat that ended its 2016-17 season. After a tough effort this season with a focus on strong starts, the team ended its season with a 1-9 conference record and a 7-15 overall season record. In a home game on Friday, Feb. 3, the Cardinals rallied in a thrilling game against Little Three rival Williams, but fell short in a 65-60 loss. 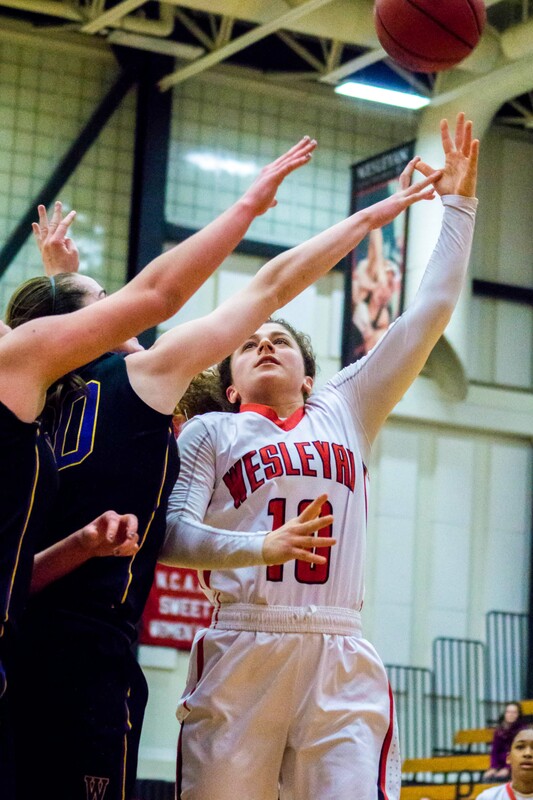 The Cardinals started off the first half with Olivia Gorman ’19 scoring a three-pointer at around the five-minute mark, putting Wesleyan ahead by five. In the second quarter, Wesleyan went on a 17-6 run, with Gorman scoring seven points during the stretch. The first half ended with Wesleyan holding a stable 31-23 lead. In the second half, the Ephs focused on heavy defense and started to catch up. In the third quarter, Williams outscored the Cardinals 23-4, taking a 46-35 lead. With fewer than eight minutes to play, Maeve Vitale ’18 drained a three-pointer to kick off a Cardinal run. The team rallied, with Kadijah Mathews ’18 scoring a three-pointer of her own with less than a minute left to play, putting the Cardinals in the lead. However, Williams responded with its own three-pointer to secure its win against the Cardinals by a score of 65-60. The game ended with Vitale tallying the team-high of 17 points, followed by Gorman with 14 points. The teams remained shockingly even throughout the entire contest, recording seven ties and 11 lead changes. The Ephs capitalized well on the Cardinals’ mistakes, scoring 22 points off of turnovers. After a week-long break from competition, in which the Cardinals were hard at work practicing, the team traveled to Brunswick, ME to play Bowdoin last Friday, Feb. 10. The team ultimately fell to the Polar Bears, who are ranked 20th in the country, despite trailing by only three points entering into the fourth quarter. Though both teams kept up their strong defense in the first quarter, they struggled to score. The Cardinals went ahead with a 6-2 lead at the seven minute mark. However, after an 8-0 run, the Polar Bears entered the second quarter with a 12-9 lead. Captain Danielle Gervacio ’17 tied the game at the 10 minute mark of the second quarter, 12-12, with a three-pointer. 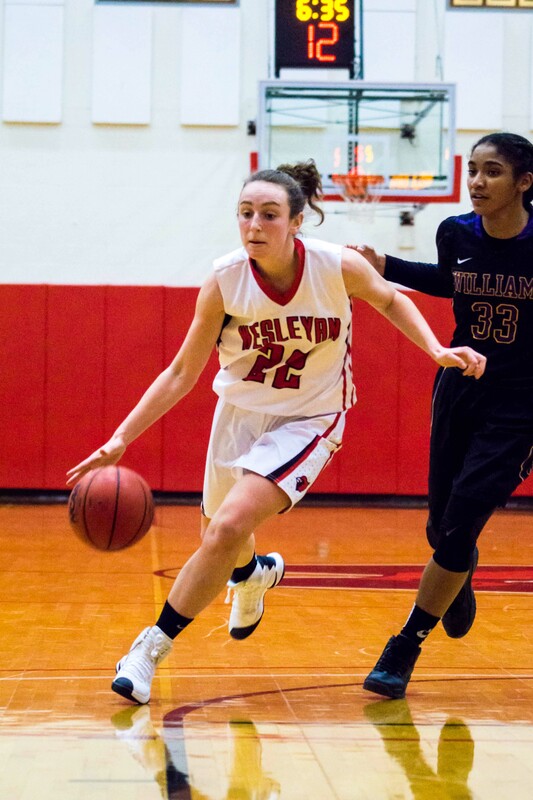 With only two and a half minutes left in the first half, Mathews and Maddie Bledsoe ’18 scored, giving Wesleyan the lead at the end of the first half 25-22. The first 10 minutes of the second half was frenzied and exciting, accounting for four ties and four lead changes. The third quarter ended with 16 points scored for each team, and the Cardinals ahead overall. 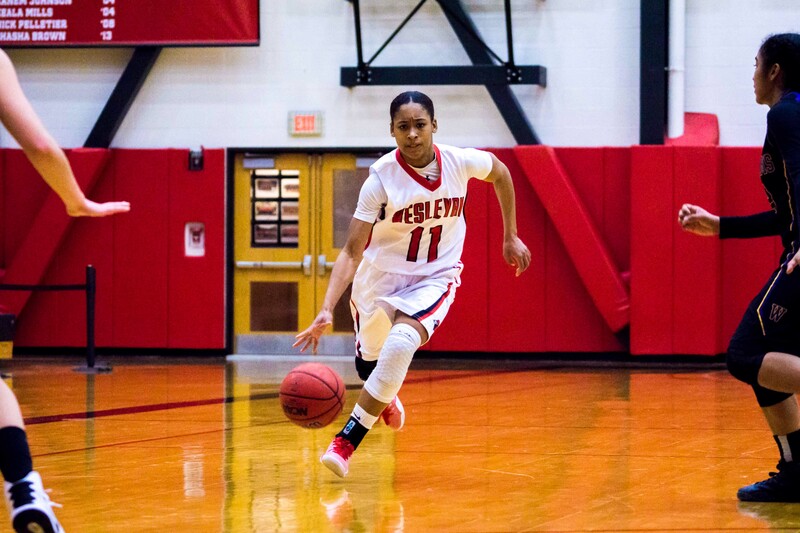 However, after the three strong quarters for Wesleyan, Bowdoin pulled away in the fourth quarter, securing a 15-point win for the Polar Bears by a final score of 58-43. The 2016-17 season ended the next night in Waterville, ME against Colby. The last game of the season was a rough one for the Cardinals, who suffered a 55-38 loss. Despite playing the Mules tight through five minutes, the Cardinals were held scoreless the rest of the first quarter as Colby took the 14-8 lead. 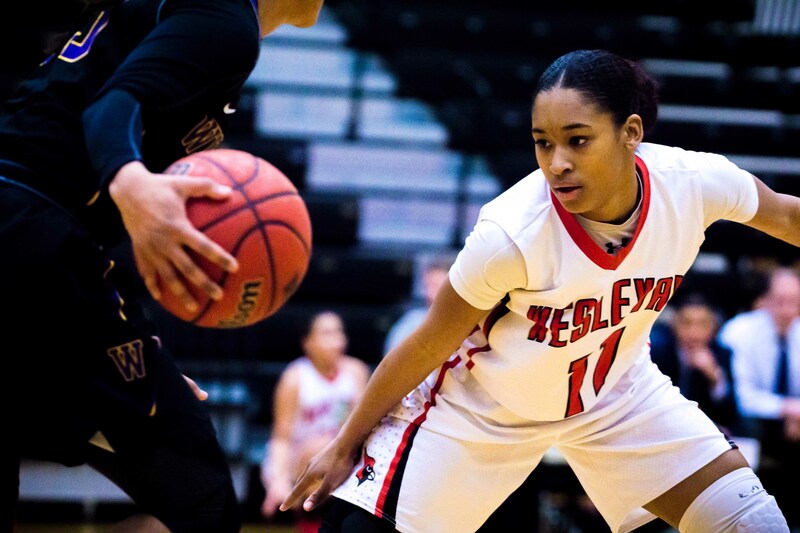 Wesleyan had a strong double-digit scoring effort in the second quarter, but the Mules held onto their advantage, taking a 32-18 lead into halftime. 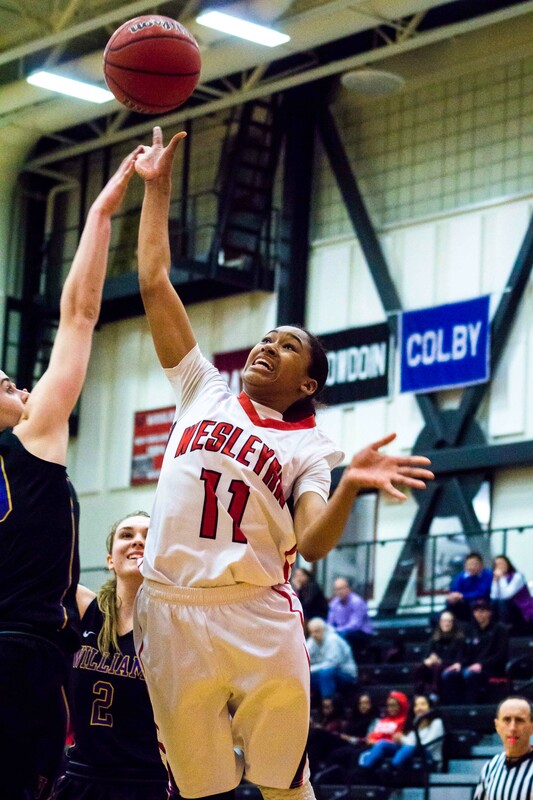 Despite a forceful effort by Wesleyan in the second half, the first half deficit was too large to overcome. 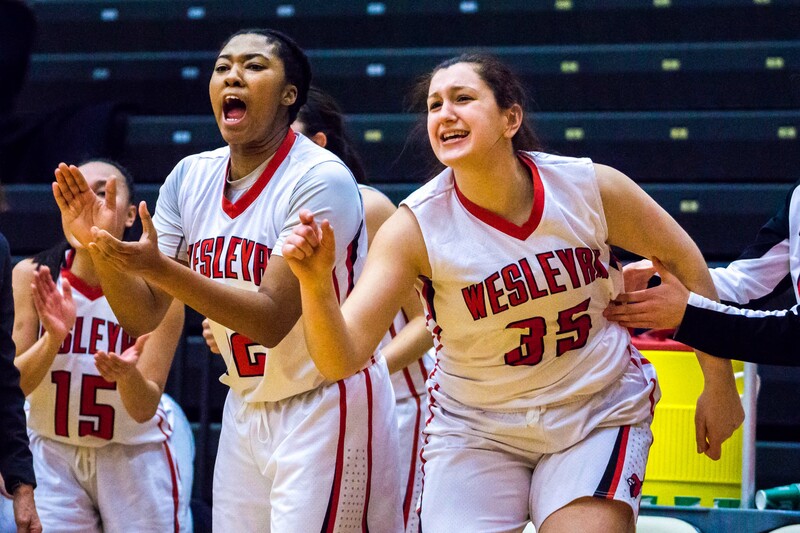 When Ava Tompkins ’20 scored a three-pointer with only three seconds left on the clock in the third quarter, Wesleyan trailed 45-29. In the fourth quarter, the Cardinals scored nine points against Colby’s ten and fell to the Mules 55-38. Bledsoe gave her thoughts on the season overall. Gervacio also provided some insight into the team’s mentality. Ultimately, this season for women’s ball has been characterized by difficult losses after close games. It must be difficult to fully understand the pain that each loss brings to the team, especially after staying close to the opposition for most of the game. This mentally taxing pattern of losses can often inspire poor performances among weaker teams, but it is a testament to the will and determination of the women’s team that they kept on fighting until the bitter end. With only Gervacio and Lauren Gaj ’17 graduating, the Cards will look to utilize their mental toughness in the upcoming seasons.